Bromley and Beckenham Ladies 1s have made an excellent start to the league season with three wins from three. Coach Mark Robinson’s hard work behind the scenes paying dividends and Vallisa Armstrong leading the way on the pitch with five goals. The 2s opened their account with a loss but bounced back admirably to win their last two in hard fought games. The 3s and 5s are yet to see such success but a draw for the 3s in the first game of the season shows what can be done when good availability and training are put in to practice. The 4s have solid leadership in the form of Rachel Barnett and this has proved pivotal as they’ve notched up a couple of wins and a draw to put them in good stead for the season. All teams are fielding juniors week in week out which excellent to see for the club and if commitment and availability across the section can worked on then the season ahead looks to be a promising one across the board. Meanwhile, our men’s sides have also enjoyed a solid start to the league season. 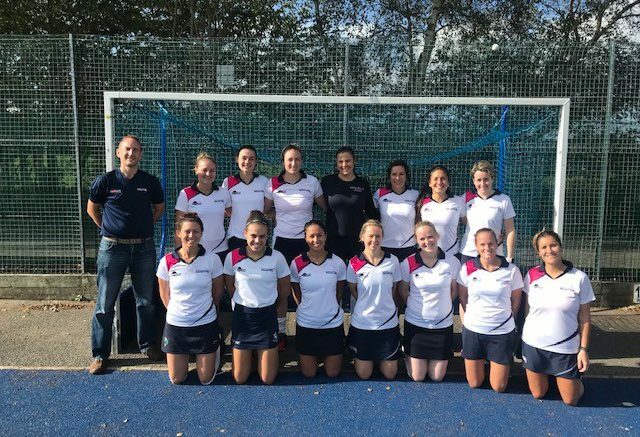 With the reward of promotion to National League at the forefront of our Men’s 1st XI objectives, they got off to a successful start beating London Edwardians 3-2. A 66th minute winner from returning defender Will Nurse secured the points in what was always going to be a tough opening fixture. The M2 and M3 also opened strongly with respective draw and wins, but what really is encouraging is the rise in strong junior talent performing further up the sides this season. With newly appointed club coach, Chris Blaney, overseeing the development of our juniors and ensuring that they are fast-tracked into the right sides, we are now getting a strong balance and putting together a clear blueprint for future successful years. We have 10 of the U16 squad competing in the top four sides compared to only two last season and this is down to a clear direction the club want to go in. We are always on the lookout for new members and cater for all standards. Please check out our website for further details – www.brombeckhc.co.uk/ and/or follow us on Facebook, Twitter or Instagram (@brombeckhc). Be the first to comment on "BromBeck Hockey Club – October column"